Chromatic Tuner with Violin Clip. Listens with both pickup and built-in microphone. Simple and affordable chromatic tuner. Also plays reference pitches from C4-C5. 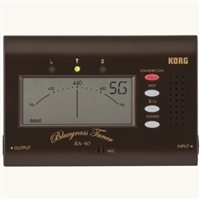 Digital tuner with violin mode. Easy to use. Also plays G, D, A, and E reference tones. Chromatic tuner, pitch generator, and metronome. 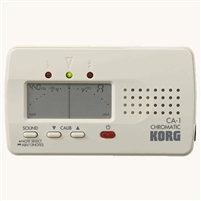 Simple and affordable chromatic tuner. Also plays reference pitches from C4 to C5. Free-standing, concert A tuning fork and resonator box, with striker. Medium sized fork. Large, free-standing, concert A tuning fork and resonator box, with striker. A-440 Chrome-plated tuning fork with grip.